There are plenty of discussions and debates surrounding search engine optimization (SEO) and pay per click (PPC) solutions for online marketing. Some of the PPC marketing companies may present PPC as the sole solution to boost your business. This is simply not the case. As a matter of fact, PPC should complement your primary online marketing solution – which is SEO. Foundation – by implementing SEO you can piggyback many other techniques and strategies including PPC. With SEO as the foundation you can have many other choices. 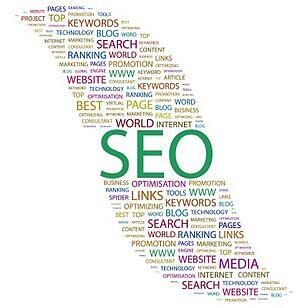 Flexibility – SEO has a lot of flexibility without added expense. PPC can get very expensive very quickly if you begin experimenting with different search terms. Social media – SEO can be integrated into your social media marketing strategy. Expense – PPC costs can get out of control very quickly if not managed properly. There is less expense involved with SEO. Time – PPC requires a lot of time to monitor and manage in order to keep costs under control and apply the right search terms. SEO does not require as much time to manage and monitor. Emails – your email campaigns can be optimized with SEO in order to boost your search rankings without any PPC expense. Blogs – there are no PPC charges to have content in your blog that is rich with SEO. Ebooks – by providing informative SEO content online through Ebooks you can increase search rankings while also building a good reputation as an authoritative source for your target audience. Referrals – the online referral process can be utilized very easily with SEO without the expense of PPC. Advantage – many of your competitors may have gone the easy route and implemented PPC, but with SEO you can get a distinct advantage.